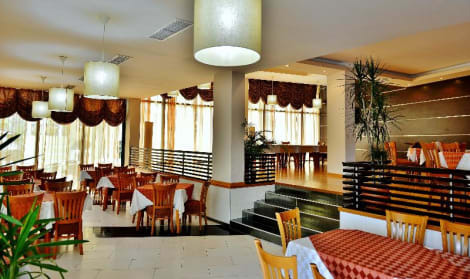 At Hotel Lighthouse, enjoy a satisfying meal at the restaurant. Quench your thirst with your favorite drink at the bar/lounge. Iberostar Herceg Novi is located with direct access to the beach in a small coastal town in Montenegro, rooms are fully equiped and most of the them have got views to the sea or the mountains, you will be able to enjoy local cuisine and international dishes, the hotel complete its amenities with Spa and wellness centre and a miniclub for children, enjoy a soft drink at the swimming pool. Located 26 Kms away from Dubronik airport. Travellers may completely relax in ample and delightfully appointed rooms. The units are generously filled with natural light and come complete with top-notch amenities to ensure a truly memorable stay. The in-house buffet-style restaurant invites guests to taste the wide array of mouth-watering dishes. Children may revel in kids' entertainment and those who crave for relaxation may make use of leisure facilities including sauna, Jacuzzi, indoor and outdoor pools and fitness centre. lastminute.com has a fantastic range of hotels in Herceg Novi, with everything from cheap hotels to luxurious five star accommodation available. 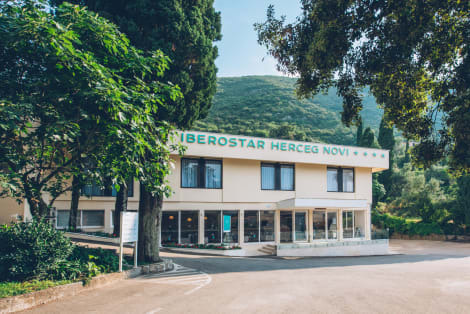 We like to live up to our last minute name so remember you can book any one of our excellent Herceg Novi hotels up until midnight and stay the same night.